Work with the best, doing what you love. 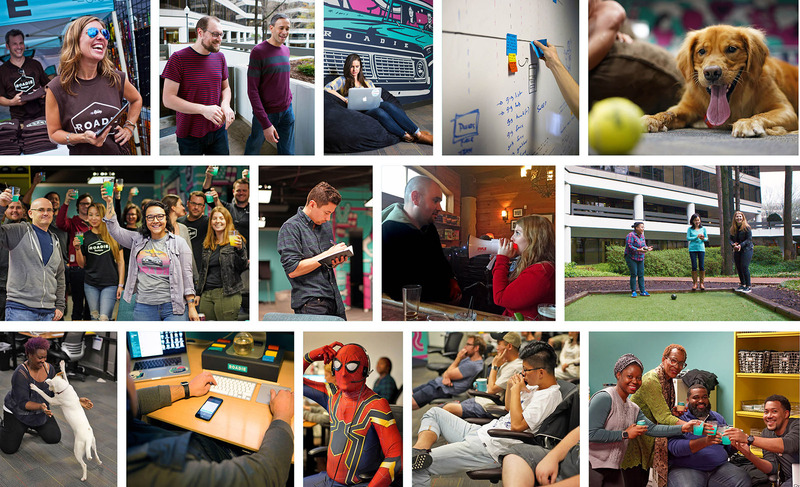 We're building a disruptive tech company here in Atlanta, GA and are always looking for talented, energetic people to join our growing team. 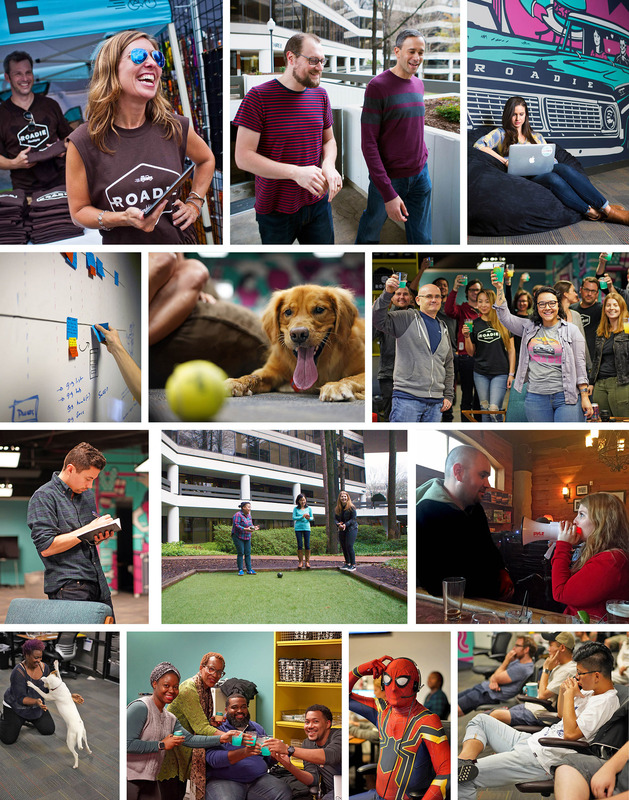 Here at Roadie, mutual respect and community are at the heart of who we are. For this whole thing to work, we have to deliver on our promises to senders, drivers and everyone who participates in our collaboration-based model. We strive to build a community that celebrates innovation, ignites passion and gives every vibrant voice a seat at the table. You’ll often find our tribe together, whether it’s at a team meeting, after-work outing or community hangout. We’re a mobile family of sorts, and we take care of each other. That’s why we frequently invest in local communities, from our support of flood-ridden Baton Rouge to our partnership with the National Canine Cancer Foundation to local service events. We believe inclusion sparks innovation and diversity makes us stronger. We’re committed to building an equitable environment that celebrates the experiences and backgrounds of every team member. It’s not just a value — it makes us who we are. Roadie offers a range of benefits and perks designed to allow our team to successfully manage our health, retirement and more. Full-time employees are provided medical, dental, and vision insurance. Team members can also enroll in our 401(k) plan and enjoy unlimited monthly Roadie credits. Our headquarters are located in the heart of Atlanta just around the corner from some of the city’s most exciting attractions. From a tour-de-force music scene to big-time sports to sprawling green space, there’s no limit to what you can do here.